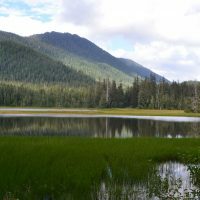 The Southeast Alaska Watershed Coalition believes communities that participate in identifying and addressing local watershed issues are better able to develop locally relevant solutions that take into account their community’s unique social, ecological, and economic conditions and values. SAWC is committed to supporting community organizations that are dedicated to actively engaging their community in researching, restoring, stewarding, developing, and conserving their local watersheds. With access to administrative support and professional resources, SAWC member groups and community partners are developing projects in their communities that help to sustain healthy natural resources, build robust local economies, and support each community’s unique culture and way of life. SAWC offers fiscal sponsorship and administrative services for community based organizations in SEAK that have limited financial capacity and whose missions align with SAWC’s mission and core values. Fiscal sponsorship presents an affordable means for organizations to operate and access funding, freeing up staff time and resources to focus on carrying out their community priorities and projects. SAWC partners with local governments and tribes, state and federal agencies, non- profit organizations, environmental consultants and contractors, and developers to coordinate trainings that provide natural resource management professionals, watershed practitioners and community leaders the resources and skills they need to understand and promote the health of their communities, watersheds and local economies. The Pat Creek Watershed supports 4 species of salmon, Dolly Varden char, & coastal cutthroat trout, & steelhead trout, & offers fishing, hunting, berry picking, and numerous other recreation opportunities for the nearby community of Wrangell. Portions of the watershed were logged from the 1960s to the 1990s, and recent habitat condition surveys indicate current impacts to fish habitat as a result. The Southeast Alaska Watershed Coalition has partnered with local, state, and federal stakeholders to assess fish habitat condition & explore habitat restoration options to improve ecological function of the watershed.